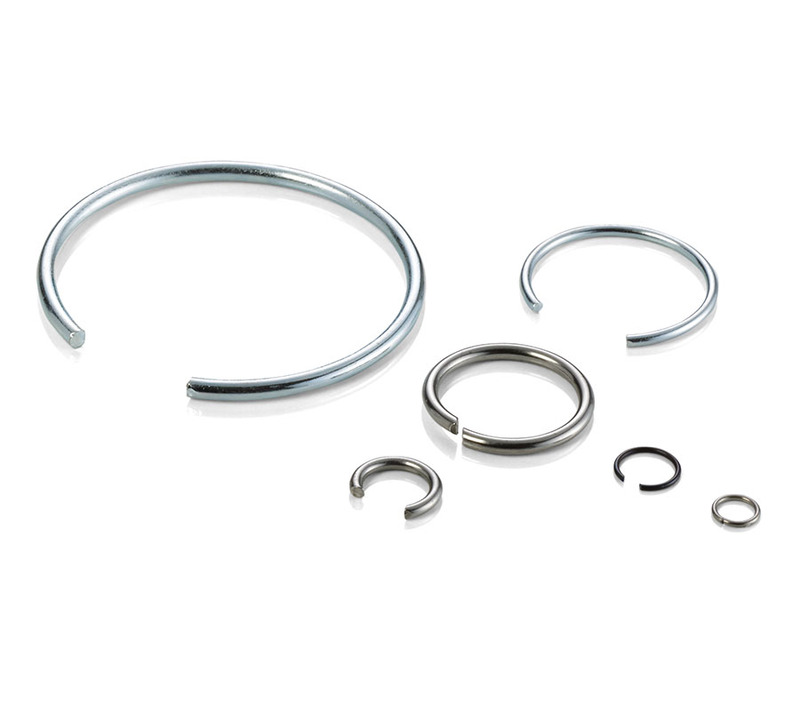 Circlips for a multitude of technical applications according to your drawings and specification or our recommendations, optimised to your requirements. DIN 7993 RW type circlips for shafts and DIN 7993 RB type circlips for bores, as well as a great range of custom designs. Burr-free finishes through rotary cutting processes.